It is often the case that in the development of a system-on-a-chip (SoC) design, a family of SystemC transaction level models (TLM) is created. TLMs in the same family often share common functionalities but differ in their timing, implementation, configuration and performance in various SoC developing phases. In most cases, all the TLMs in a family must be verified for the follow-up design activities. In our previous work, we proposed to call such family TLM product line (TPL), and proposed feature-oriented (FO) design methodology for efficient TPL development. However, developers can only verify TLM in a family one by one, which causes large portion of duplicated verification overhead. Therefore, in our proposed methodology, functional verification of TPL has become a bottleneck. In this paper, we proposed a novel TPL verification method for FO designs. In our method, for the given property, we can exponentially reduce the number of TLMs to be verified by identifying mute-feature-modules (MFM), which will avoid duplicated verification. The proposed method is presented in informal and formal way, and the correctness of it is proved. The theoretical analysis and experimental results on a real design show the correctness and efficiency of the proposed method. Tun Li is a professor in the College of Computer, National University of Defense Technology, China. He received his PhD degree in Computer Science from National University of Defense Technology in 2003. His research interests include electronic design automation and SoC design verification. Jun Ye received his PhD degree in Computer Science from National University of Defense Technology, China in 2011. His main research interests include formal verification verification of AOP/FOP, hardware and software co-design, adaptive dynamic compilation, garbage collection, Java Virtual Machine. Qingping Tan is a professor and PhD supervisor in College of Computer at National University of Defense Technology, China. His research interests include intelligent software, distributed software engineering, and high dependable software. Supplementary material is available for this article at https://doi.org/10.1007/s11704-018-8254-y and is accessible for authorized users. 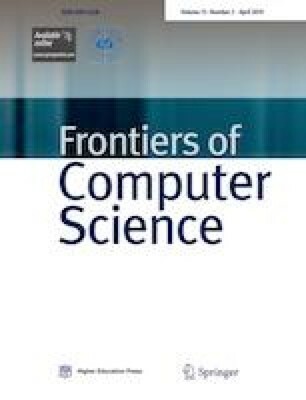 The work was supported by the National Key R&D Program of China (2018YFB1004202) and by Laboratory of Software Engineering for Complex Systems.